Management Data Input/Output (MDIO), also known as Serial Management Interface (SMI) or Media Independent Interface Management (MIIM), is a serial bus defined for the Ethernet family of IEEE 802.3 standards for the Media Independent Interface, or MII. The MII connects Media Access Control (MAC) devices with Ethernet physical layer (PHY) circuits. ioLibary :“Internet Offload Library” for WIZnet chip. It includes drivers and application protocols. MDIO via GPIO: It Includes the MDIO Read and Write functions. To clear Interrupt register, use Interrupt Clear Register (ICR) , Socket Interrupt Clear Register(Sn_ICR). To use previous codes, setSn_ICR() is warped by setSn_IR(). 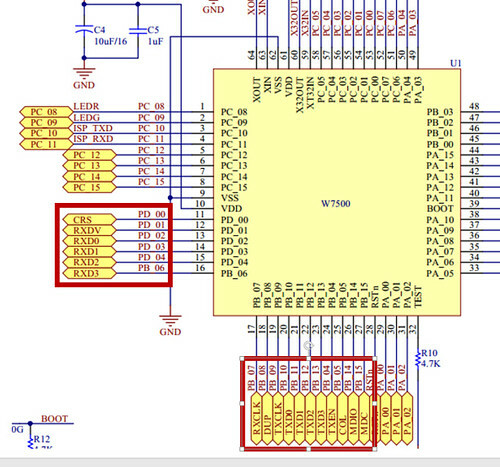 Cortex-m0 is able to access by 32-bits address. However, Sn_TX_WR(Socket n TX Write Pointer Register) and Sn_RX_RD (Socket n RX Read Pointer Register) is only the lower 16 bits of the pointer. Hence, to calcurate the address boundary, offset address shoud be masked by 0xFFFF. 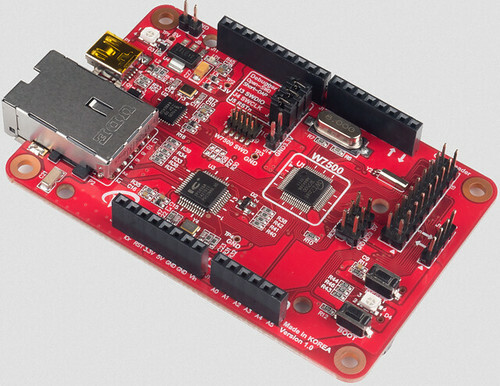 This entry was posted in iMCU, IoT Projects and tagged coding guide, ioLibrary, MDIO, W7500 Ethernet, WIZwiki-W7500, WZTOE, WZTOE Driver. Bookmark the permalink.